Calling Ben Affleck's Argo a "terrific thriller," one of the six Americans who managed to escape the U.S. embassy just as student radicals took over the compound by fleeing into Tehran's streets has set a bit of the record straight. Mark Lijek, who's portrayed by Christopher Denham in Affleck's awards contender, spoke out after attending the film's L.A. premiere, giving his detailed version of events. And while there are strong parallels with the film, which began its release last week and has garnered Oscar buzz, the timeline of real-life events had some significant departures from the film, which Affleck starred in and directed. Still, Lijek did learn one thing from the film, which surprised him all these years later. (Caution, spoilers if you have not seen the movie). The backbone of the story - namely, the idea of posing the six Americans as movie-makers in order to dupe Iranian officials and sneak them out of the country - is in fact true. The movie version of events suggest the six "house guests," who were holed up in hiding in the Canadian Ambassador's residence, needed convincing to go the route of posing as Hollywood insiders. But the plan's CIA mastermind, Tony Mendez (played by Affleck), had in fact presented three ideas, which the group accepted as the best option straight away. "We liked the idea enough, in fact, that we chose it over two other scenarios that Tony also brought to us," said Lijek in a first-person account of their ordeal in Slate magazine. "In one of them, we would pose as businesspeople, in something petroleum-related, if I remember correctly. In the other, I think we were meant to be teachers looking for employment at an international school. But those two seemed like throwaways, and Tony did not try too hard to sell us on them." After considering the three options, Lijek noted, the group accepted the plan, whereas in Argo, it seemed to split the group, with dissenters reluctantly agreeing to go along. "It was clear the organization and energy was focused on the Hollywood option. And they were right to be: While the movie presents myriad dramatic complications and last-minute twists and turns, the plan actually went off without a hitch. Lijek's account focuses on the drama the group had going from place to place in the lead-up to Mendez's arrival. The six managed to evade capture, going from one temporary safe space to the next before ending up in the safe hands of the Canadian compound and in the care of Canadian John Sheardown, who was critical in safeguarding them. "When Tony Mendez arrived on Jan. 26, 1980, we were ready to leave," writes Lijek. "The hostage crisis was no closer to resolution. We had asked [Ambassador] Taylor in early January to tell Washington we wanted out. Each day we stayed in Iran added to the risk of capture." Continuing, he gives credit to Sheardown, who didn't make the script in the movie version of events. "It never came to that — and John Sheardown may well be the indispensable reason why. Without his enthusiastic welcome we might have tried to survive on our own a few more days. We would have failed. And so it was hard, sitting at the swanky Los Angeles premiere the other day, not to see John in the movie. I understand, though, why he couldn’t be there. 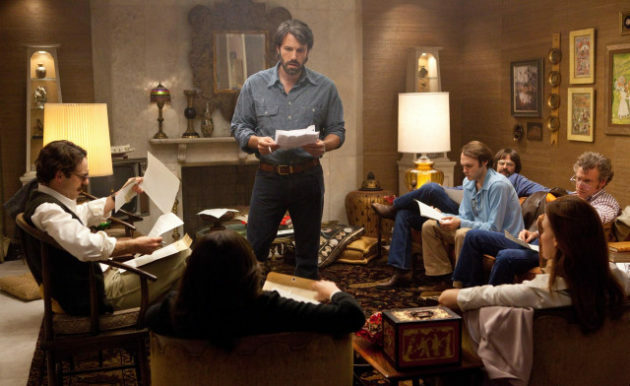 Argo already had more characters than a typical thriller, and adding the Sheardowns would not have enhanced the drama." But Lijek received a surprise at the film's screening as the credits rolled when a voice came in talking about the crisis 32 years later. "The film’s biggest shock? The voiceover from Jimmy Carter at the end. In comments about the incident that I had never heard before, Carter says our chance of success was 50 percent. 50?! I thought it was much higher. Another gut check. Would we have gone with Tony at 50 percent? I’ll never know." Try dabbing some honey on your red, irritated blemish and cover it with a band-support overnight. It is feasible to discover how to manifest anything Black Friday Logan Mankins Jersey at all we want. This kind of is great for shaping the particular bushes along with supports plant trimming. )Pretty much every thing you do can trigger dry pores and skin. How Clear Skin Max works?The Clear Skin Max system includes 5 products which combine together to make a kit. "Well, LeBron took the shot, and I knew we had time, I had to go. It really is rather potent about burns, sores and also other acute wounds.The interesting twist is that Steve goes on to say that he dropped out of college, as his birth mom had completed. Thus even though they see Cyber Monday Shane Vereen Jersey the preliminary manifestations, they tend to pay no attention to it – believing that such manifestations wont present much danger to their health and can be gone just by resting or getting plenty of Black Friday James Develin Jersey sleep. Polyester blends employed to be extensively used commercially, but polyurethane blends are now a lot more well-known since they are regarded to be a lot more durable.In the following men's singles, Chen Long gave his Lee Dong Keun no chance by winning 21-15, 21-10 in 47 minutes.Defending champions India are the hot favorites to take home the trophy. It is expected that the number will increase by 10% every year. E. The performance provides this engrossing if somewhat deferential biopic of Margaret Thatcher with a richly conflicted center that befits one of the most divisive figures Cyber Monday Josh Norman Jersey in 20th century politics. 12 (Xinhua) -- St. The game simulator can recreate the predicted events continually to check which plays would have a high chance of occurring.Leading by only three point at halftime, Iran blew out their competition with a 45-29 spread between the third and fourth quarter, to notch a 75-56 victory and a clean 4-0 slate in Group F. Camisetas de atletico Madrid is also a Black Friday Jonathan Stewart Jersey popular brand.Serena Williams was also in an unforgiving mood. This leads to premature shedding with the hair strands without having the growth of the new ones to replace them.Sevens Rugby now enjoys Olympic status and is set to make its first appearance on the playing roster, in the men's and women's competitions, in 2016 in Rio de Janeiro. In order to succeed, the people should stick to a proven strategy that increases the percentages to win the bet.Blanco expects the four-time world player Messi to participate in the video, supporting Madrid 2020. Sam Mills Jersey Cyber Monday Bankroll management in football betting When it comes to football betting, proper bankroll management and money management is really simple to explain, but still quite difficult to explain actually adhere to. A kegerator is a marvellous buy you can put inside your bar in your house.